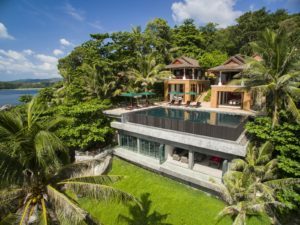 Heaven Rentals offer vacation rentals in Phuket, Koh Samui, Bali & Sri Lanka. Stéphanie & Benoit tell us their story and how they deal with the environmental challenges they face daily. 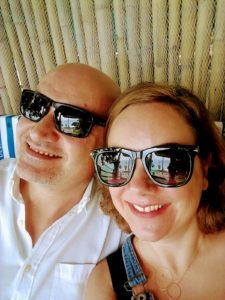 Originally from France, Benoit and I – Stéphanie – had been working in Paris for a few years and then decided to step out of the beaten tracks. We thus settled in Phuket, Thailand, about 9 years ago. After a few years managing a restaurant, we had the chance to meet many interesting people here on the island. One opportunity after another led us to start our own company of villa rentals about 4 years ago. We are both very social. Taking care of our villa guests to make sure they spend the most enjoyable vacations is very rewarding. We offer vacation rentals in Phuket, Koh Samui, Bali & Sri Lanka. We have chosen to focus only on high-end properties which are fully staffed. This way, our guests can enjoy very qualitative holidays while being taken care of by locals in a “family style” atmosphere. They get the same hospitality standards as a 5-star hotel but in the privacy of their own villa. 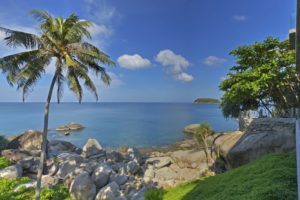 Phuket is where our main offices are settled and it is a blessing to enjoy such Tropical sceneries and weather all year round. Life on the island is very much laid back as the majority of the population is Buddhist. Environmental awareness here has just really started one or two years ago. Global infrastructures are in place but the main challenge of the island is to keep up with the increase in the number of tourists. To be honest this has been quite a struggle so far and even though we see more and more press articles about this, not many actions have yet been taken. There are a few associations led by foreigners who invite people to help clean the beaches but things will truly be resolved only when authorities really take the matter into their own hands. The main issues we face are black waters from hotels that run directly into the sea, plastic pollution because of the increasing number of tourists making boat excursions and perhaps a lack of awareness of the local populations. The good thing is that some recycling companies offer money to locals to buy used plastic bottles and cans. Glass bottles however are not considered by these companies. This is a good start to motivate people to sort the waste. We try to encourage awareness of the local staff we employ in the villas and train them to higher waste management standards. As for our villa guests, we always explain the importance of respecting the fragile environment of the island, especially when they go at sea where the corals are still very fragile in our region. We always like to support associations/companies that try to raise more awareness about important subjects such as protecting the environment. We believe that small actions put together can lead authorities to start taking matters into their own hands and adapting the infrastructures. See you soon in South-East Asia!